My poor laundry room is a very small space. When you have a family of 6, you go through a LOT of laundry. Needless to say, there are always space and organization issues. With that being said, I decided that this plain little room needed a BIG change. 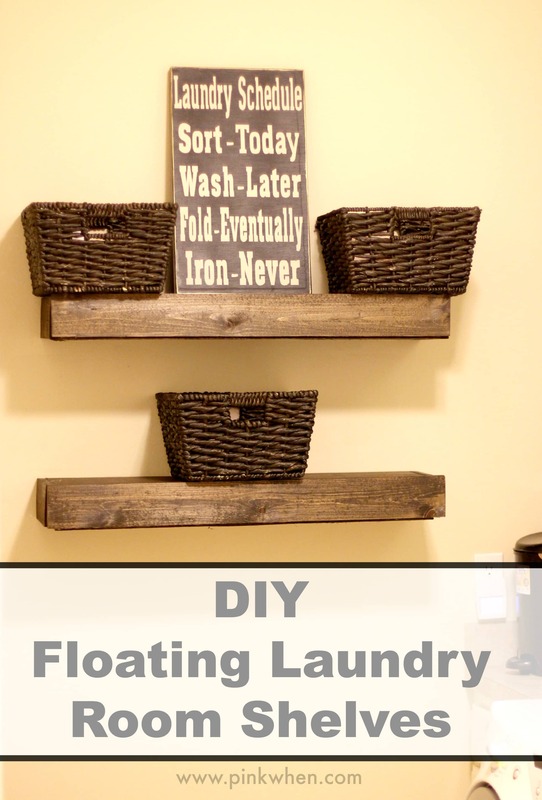 That’s when I decided I would build some DIY Floating Laundry Room Shelves. These reminded me of the desk I bought yesterday. It’s called a floating desk. I found it on Pinterest and tracked it down, haha. I mgiht have to add some of these shelves around it. This is why we need to be neighbors. Cassidy would love to do this idea. Those floating shelves are so cool! I just wanted to let you know you’ve been featured at The Project Stash! Stop by tonight at 8:00 pm to pick up your featured button & link up your latest creations!